In order to solve this error, you need to download SQL Server 2000 DTS Designer componets from https://www.microsoft.com/en-US/download/details.aspx?id=11988. After clicking Download button, you have to choose SQLServer2005_DTS.msi and then click on Next button. 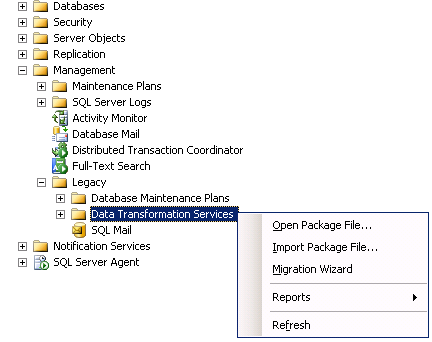 Then, double click on SQLServer2005_DTS.msi and follow the steps to install SQL Server 2000 DTS Designer Components. Finally, you will be able to open DTS files using SQL Server Management Studio, both 2005 and 2008. 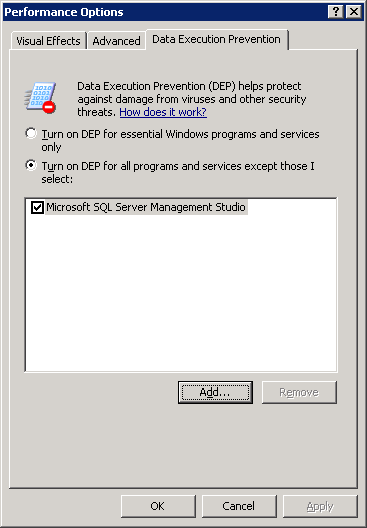 If you keep getting the same error, most likely you need to turn off DEP (Data Execution Prevention) for your SQL Server Management Studio. 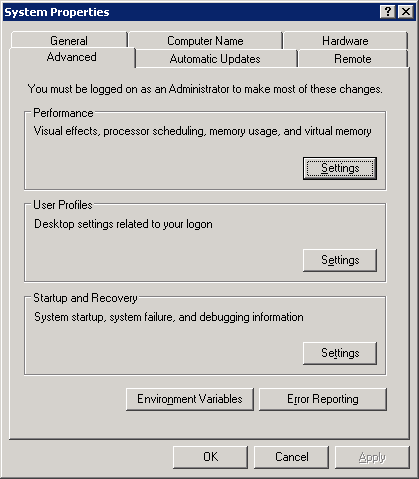 For that, go to System Propeties of your computer, and click on Settings button of Advanced tab in the group Performance.